Shepherdness, India submitted to ‘Your Outdoor Adventure’ on National Geographic. Kristian Bertel has contributed to the National Geographic Your Shot photo community with an assignment called ‘Your Outdoor Adventure‘. For this assignment curated by Keith Ladzinski a National Geographic photographer wants us to photgraph an outdoor adventure. Adventure is a broad and personal experience that can be as large as climbing a tall mountain or as small as photographing life at the macro level in your garden. It is rooted in becoming emerged in an experience, curiosity, or discovery. He believes that photography offers this level of stimulation and engagement freely. This is an opportunity to think big. Plan a weekend road trip, break through creative barriers by seeing the same scene differently, try new techniques like mid-day long exposures by stacking filters, light-paint a scene at night. As Keith is saying it: ”- In many ways this next assignment is a blank canvas, which really is a photographer’s dream shoot. I was fortunate to get an assignment with similar parameters last year from National Geographic Traveler: a road trip through Montana from point A to point B, with no agenda along the way but to go find photos. It pushed me harder having no definitive target out of the gate. In situations like this, you have to create the target, which in itself is an adventure. It requires location research, building out a creative shot list, finding the light, and working through self-designed deadlines to ensure you hit each location and avoid coming up empty handed. It’s a real motivator. I’m convinced that the camera is the gateway to adventure and this assignment is the ideal proving ground. I’m looking forward to being blown away with the images you all create ”, he says. 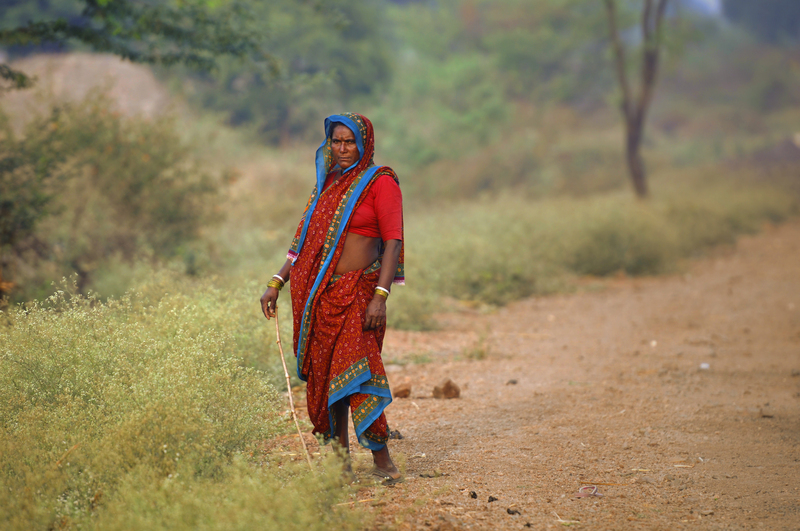 The photographer chose to submit a photograph of an Indian herdswoman in Maharashtra. Located in the West region, Maharashtra is the third largest state of India by size and the second largest by population. It stretches from the west coast to the interior regions and its climate too varies with its geography. Maharashtra contains India’s most industrialized region, the Mumbai-Pune belt. Agriculturally too, the state is one of India’s more advanced and well-irrigated. The northern and eastern parts of the state, however lag behind the western region. The Sahyadri range of mountains is an impressive hill range in the western parts of maharastra running north to south. Trekking the forts and hills in the sahyadri’s has a charm of its own. Especially in the monsoons, its a place to die for, with lush greenery and pure waterfalls abundant in the hills. The treks range from very simple to absolutely tough. These western ghats are accessible from major cities like Mumbai, Pune and Nashik. Maharashtra has typical monsoon climate, with hot, rainy and cold weather seasons. However, dew, frost and hail also occur sometimes, depending upon the seasonal weather. The winter in January and February is followed by summer between March and May and the monsoon season between June and September. Summers are extreme with March, April and May as the hottest months. During April and May thunderstorms are common all over the state. ”- Traditionally, Marathi women commonly wore the sari, often distinctly designed according to local cultural customs. Most middle aged and young women in urban Maharashtra dress in western outfits such as skirts and trousers or Shalwar kameez with the traditionally Nauvari or nine-yard Lugade disappearing from the markets due to a lack of demand. Older women wear the five-yard Sari. In urban areas, the five-yard Sari, especially the Paithani, is worn by younger women for special occasions such as marriages and religious ceremonies. Among men, western dressing has greater acceptance. Men also wear traditional costumes such as the Dhoti and Pheta on cultural occasions”, the photographer Kristian Bertel says.